In May we have another special event planned for you! Please join our SALOON#18 at Gallery Gianni Manhattan on the 8th of May at 6pm. Laura Windhager, founder and director of the gallery, will give us an exclusive insight into her newly found gallery and guide us through the group exhibition "Fever Dream". Needless to say, best place and time to ask a female gallerist about her incentives of opening up a gallery in Vienna and how she deals with the fierce competition in the art market. What kind of obstacles does she encounter and what does she think needs to be done to heighten the exposure of female artists? At Al Zaytouna we can further brood over new strategies and collaborations! Please RSVP until the 7th of May. 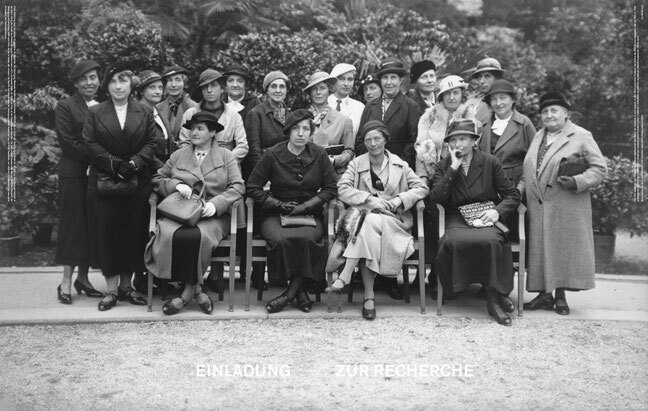 In April, Vienna is dedicated to photography and so are we! Kunst Haus Wien on Wednesday the 3rd of April. We will visit the exhibition “Bodyfiction” with Verena Kaspar-Eisert, who is curator at the Kunst Haus Wien and has organised this exhibition in the course of Foto Festival Wien at the Festivalzentrale located in Otto Wagner's Postsparkassengebäude. "Bodyfiction" comprises of works by Alix Marie, Carina Brandes, SMITH, Weronika Gesicka und Matthieu Gafsou, who have been selected by an international jury, of which Verena Kaspar-Eisert was also a part. The exhibition deals with the instrumentalization and representation of the body in photography. Hence, we are not only able to discuss body politics and its implications for photography as an artistic medium but moreover to ask about the decision-making processes of a jury member. How are massive amounts of information and images filtered in this process? 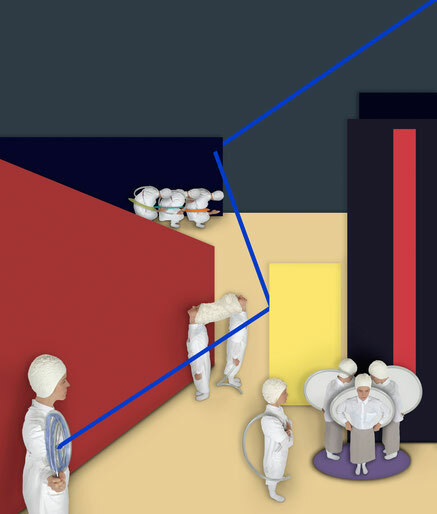 What are the decisive factors for works to stand out? How can one's works be convincing at first glance? 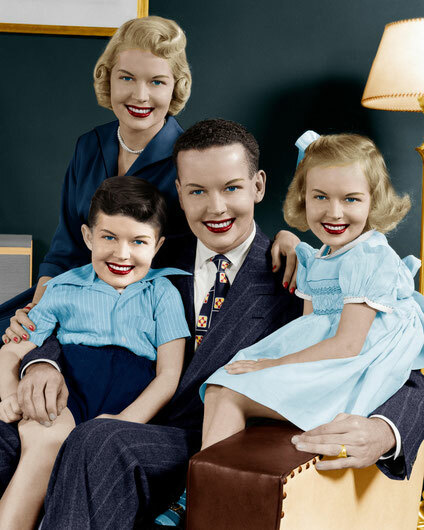 And is there a difference in curating photography to other media? A full spectrum of questions and answers lies ahead of us, which will be continued over dinner and drinks at XPEDIT! Please sign up on the RSVP-list until 1st of April. March is the international month of women and what better way to celebrate than in an exhibition dedicated to female artists?! Please join us for SALOON#16 on the 7th of March at Bank Austria Kunstforum Wien at 6pm, where we are going to visit the exhibition Frauenbilder? followed by a conversation with Mag. Veronika Rudorfer, curator of the exhibition and Assistant Curator at Bank Austria Kunstforum Wien and Bettina M. Busse, M.A., Curator and Head of Bank Austria Art Collection at the Bank Austria Kunstforum Wien. 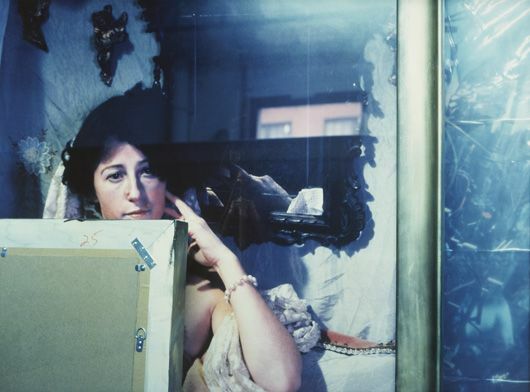 The exhibition presents selected works by women through photography, collage, painting and drawing with which they analyze the objectification of the female body, the normativity of socially determined roles assigned to women and the stereotypical depictions of femaleness and beauty. Lets discuss the various perspectives on the use of the female body in artworks and how the male gaze might be influencing images on women. Also, how are we as cultural praciticioners dealing with these issues? What is more, we will have the unique opportunity to find out about how this privately owned art collection functions and about their incentives for collecting art by women. Afterwards we will head to Habibi & Hawara to continue the conversation over dinner and drinks. Please sign up on the RSVP-list until 5th of March. We're very excited to invite you to our first Saloon in the New Year on 12th of February at 6pm! Saloon#15 is all about the diverse cultural events of the Kunsthistorisches Museums Verband. We are going to meet Mag. Alexander Kimmerl, their head of event management, who will give us an insight into how to conceptualize and organize art events at a museum like the KHM. The Kunsthistorische Museumsverbandsupervises up to 800 events a year, including the Weltmuseum, the Theatermusem, the KaiserlicheSchatzkammer, the Theseustempel, the Neue Burgand the Ephesosmuseum and we will have the exclusive chance to ask questions like: "Why does a drag queen lead the visitors through the museum? And how does the public respond to it?" That and many more exciting insights will be explored. 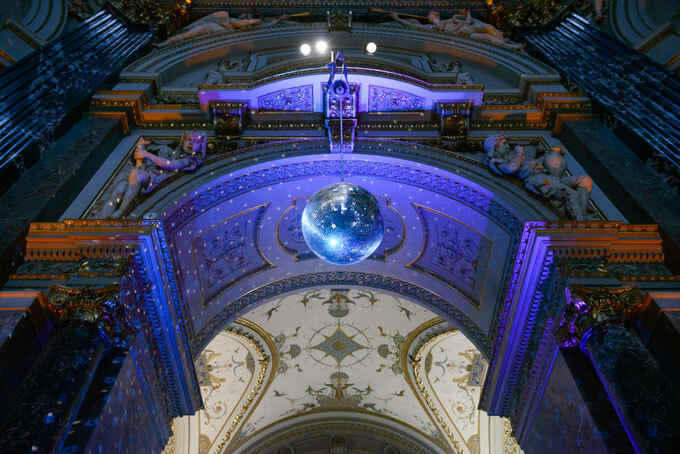 Afterwards, please join us for drinks and some dancing at KHM´s monthly “Kunstschatzi” under its Kuppelhalle! The picture gallery of the museum will be open all night for us! Please do sign up on the RSVP-list until 11th Feb, 10am, as the talk has a max. capacity of 25 attendees. PLEASE NOTE: Tickets for “Kunstschatzi” have to be bought, we arranged a reduced ticket rate for €10 (instead of €16), though. We would like to collect the money before the talk. 2018 will finish with a bang! Please join us for the last Saloon this year at the SAMMLUNG VERBUND with a very special tour through the exhibition SHE'S HERE. Louise Lawler guided by Dr. Gabriele Schor on the 3rd of December, 2018 at 5pm. Afterwards, please join us for a Punsch (OR TWO ☺) at Christkindlmarkt Am Hof. At 4.50pm we are going to meet Dr. Gabriele Schor, the Founding Director of SAMMLUNG VERBUND in the foyer, where you will hear all about her building up this amazing collection from 2004 until today. 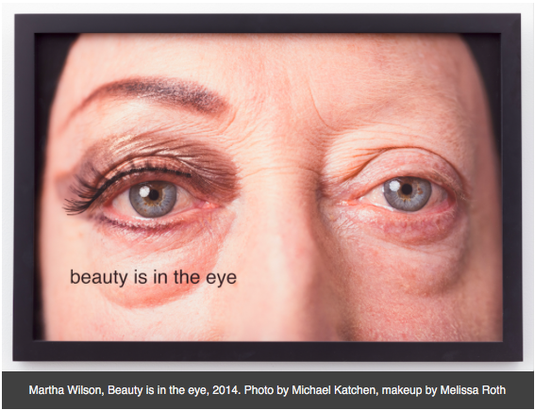 Dr. Schor will then tour with us through the Vertical Gallery and its exhibition SHE´S HERE. Louise Lawler. It is the first time Louise Lawler's works are on show in Vienna and the show ties in with one of the SAMMLUNG VERBUND Collection´s main emphases on “perceptions of spaces and places”. 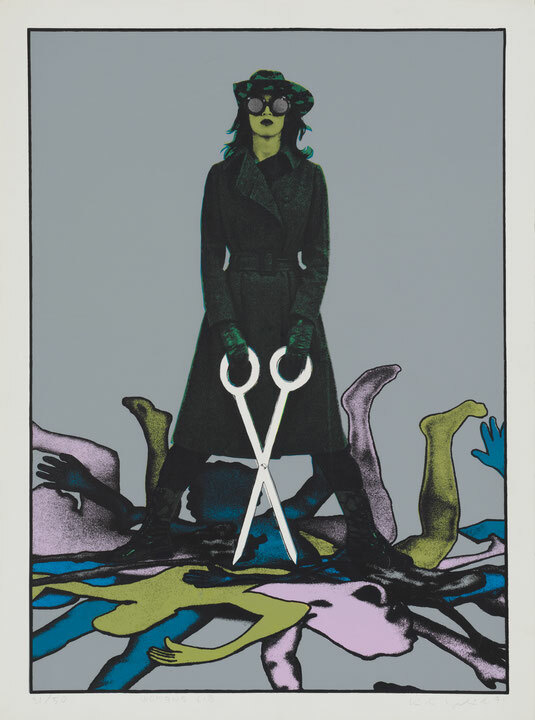 The other focus is on the seminal Feminist Avant-Garde exhibition, which the title SHE´S HERE refers to with a wink. Louise Lawler (b. New York, 1947) is an eminent American artist and member of the so-called Pictures Generation. Since the early 1980s, the artists grouped under this label have used photography to undertake a critical interrogation of the mass media. Saloon Wien is starting its second year with a bang! In collaboration with Vienna Contemporary, we have the pleasure of welcoming Christina Steinbrecher-Pfandt, Artistic Director of Vienna Contemporary Art Fair, for SALOON#13 on the 1st of October at 6pm. Besides being the Artistic Director of the most important contemporary art fair in the country and having a stellar career in the art world—specially in Russia, Christina Steinbrecher-Pfandt is a mother, a foreigner, a woman. She “loves art, good people and demanding work,” as stated in her Instagram profile. In an intimate setting--at the VBKÖ (Maysedergasse 2/4th floor) --Saloon members will have the exclusive chance to reminisce the fair and moreover learn about the highs and lows of a career in the art fair business. How did Christina Steinbrecher-Pfandt become a successful director of Austria's leading art fair, how does she keep up as a woman and a mother in a male-dominated working environment, and how should we proceed to get it all (and is it even possible)? Just a few of our pressing questions at hand. Don’t miss the chance to meet Christina Steinbrecher-Pfandt and ask her your burning questions! Please, don’t forget to sign up here. SALOON#12: LET'S WALK THE WALK @ "Nothing Less"
LET’S WALK THE WALK gives the opportunity to meet a number of feminist initiatives and find out about their activist work and the current political situation: What is happening in terms of women’s politics in Austria right now? What exactly are feminist organizations struggling against/trying to achieve? Why is it important to join forces and most importantly how can one join? Let’s walk the walk instead of just talk the talk! Please join our special Summer Edition of Saloon which we organize in collaboration with KÖR Kunst im Öffentlichen Raum (Public art Vienna) on Wednesday, July 18 at 6pm. KÖR functions as a vital institution in Vienna that supports public art and projects, commissions artists, organizes competitions for projects in public space, allots subsidies to artists or partner organizations, and engages in activities related to these tasks. We are therefore thrilled to be able to walk and talk with KÖR's Managing Director Martina Taig, who will guide us to her favorite spots of public art in Vienna. While walking, we can not only explore works of public art that we might pass by without noticing but also talk about the importance of an institution that supports artists and funds public art in Vienna. On the contrary, how can WE - as cultural practitioners and visitors - activate public space and transform it into a place for discussion, remembrance, protest, comfort? Let's walk the talk! Afterwards, we'll have dinner (location tba) in order to gain fresh energy for a night of dancing at ImPulsTanz festival lounge. We are happy to collaborate with the KunstraumKabinet for our 10th edition of SALOON Wien. Please join us on the 29th of June for a joint networking event and guided tour at Kunstraum Niederösterreich. The KunstraumKabinet was established in 2017 by Käthe Hager von Strobele and Elisabeth Makovec as a form of exchange between women in the arts. It started as a group of mainly mothers with young children, for whom networking is especially difficult and developed into an open space for every woman working professionally in the arts field interested in an informal networking space. Reasons enough for a joint venture between the KunstraumKabinet and SALOON Wien. Because of this special occasion, we decided to do a mashup format between the two networks: Saloon#10 is running between 15:00 and 19:00 (the usual time of the KunstraumKabinet), during which coffee and chats are provided. At 17:00we are jumping in with our usual program of discussions. For this, we are joined by Elisabeth Makovec, who will also give us a tour through the exhibition THE TWO HALVES OF MARTHA WILSON´S BRAIN. And after all the hard (net)work, we will enjoy a beautiful summer evening at Volksgarten Pavillon. Lone Haugaard Madsen, born 1974 in Silkeborg, Denmark, works and lives between Copenhagen and Vienna. In her work, Haugaard Madsen negotiates fundamental questions concerning the conditions of producing and exhibiting art. She will join our conversation with Sophie Tappeiner, one of the youngest female gallerists in Vienna. Sophie opened her space in the first district in 2017 and has since exhibited numerous young female artists. 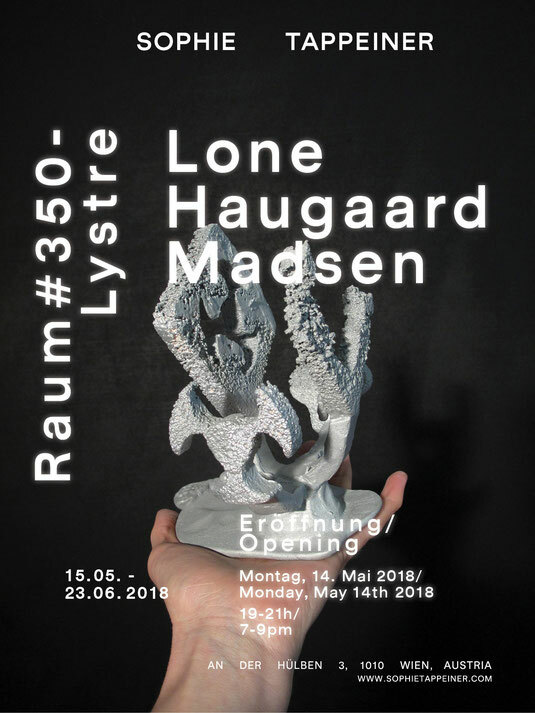 We will have the chance to see their exhibition RAUM #350 – LYSTRE as well as talk about the challenges of opening a gallery in Vienna and her experiences of running a business by herself. What are Lone's experiences as an artist in Vienna, what hopes and plans does Sophie have for the future and how do they work on an exhibition together - just a few of the exciting questions we will discuss. 19th of April, at 6pm. The VBKÖ is the oldest of its kind (founded in 1910), thus a pioneer of women's associations and needless to say a role model for SALOON Vienna. 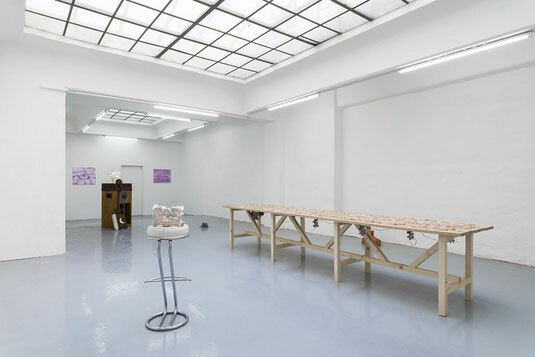 Its longevity, intersectional exhibition program, and critical past - one that started as a secessionist movement from the dominant male art world as well as one that does not deny its past ties to National Socialism - is what makes the VBKÖ a historical landmark and seminal exhibition space for female practitioners in Vienna. The SALOON wants to contemplate this critical past but moreover talk about its future and how we can contribute to and participate with an all-women's association. What does it do and what advantages does it bring? How feminist, inclusive, intersectional can it be? And, most importantly, how can it further evolve as a space for empowerment and equality? So, let’s go where everything started and discuss these issues with some of its board members: Rini Mitra, Steph Misa, Ruby Sircar, Veronika Burger, Catharina Bond, Angela Wiedermann, Hilde Fuchs and Barbara Eichhorn. Let's show solidarity and respect as this Salon stands for over a 100 years and contemplate a future together. The evening will be rounded off with dinner and drinks at Reinthaler's Beisl. We are excited to celebrate our March Saloon in collaboration with Business Riot and A B C Ana Berlin Communications on the second of March, 5pm! Since 2011, Ana Berlin works as a specialist in the field of communications at the intersection of architecture, design, and visual art. She and her team support individual cultural workers and large companies in connecting with the public sphere by providing a sophisticated image within networks, social media, and the press. The Rrriot Festival is part of Business Riot, a week long festival that offers discourses and workshops on how to combine feminist issues, networking, and careers. Last but not least, the Saloon is an international network for women in the art that connects artists, curators, journalists, gallerists, et al. through monthly meetings, collaborations, and solidarity. Through Ana Berlin’s long time engagement within Vienna's art scene, she is an expert in the fields of social media and networking and will be our host for Saloon#7. We will pick Ana’s brain on how to make first contacts in a professional setting, how to guide a conversation, and how to socialize in an unknown environment. With a hands on approach, this Saloon will be for everyone who wants to network and get networked. Das Rrriot Festival feiert 2018 als feministisches Programmfestival Premiere: gemeinsam mit über 40 Programmpartner_innen zeigen wir in über 50 Events unterschiedlichste Perspektiven auf. Talks und Netzwerkveranstaltungen haben die Besucherinnen* die Möglichkeit, die eigene Erwerbsbiografie und Karriere genauer unter die Lupe zu nehmen. Our next Saloon will be held at the exhibition space of the IG Bildende Kunst on the 13th of February, at 6pm. 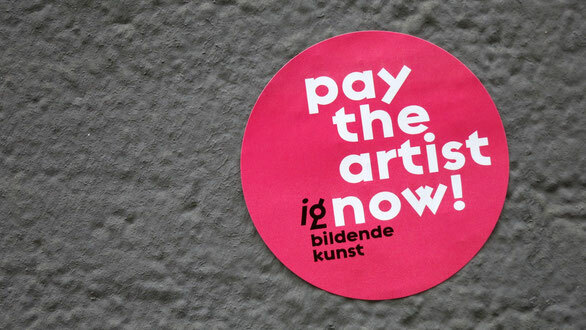 We'll also hear about the future program of the IG Bildende Kunst and how they are supporting female artists. Needless to say, the board members, who are all female, are working for free - is this symptomatic for the cultural scene? Let's find out! The discussions will be prolonged and our heated heads cooled down with a glass of Spritzer at Café Sperl. Mark your calendars! The new year will start with a Saloon at Q21 in the Museumsquartier on the 23rd of January, 6pm. We are excited to be invited to the Baroque suits in the Museumsquartier, where we will be introduced by the head of Q21 Nina Wenko, followed by a presentation by Irene Preißler (press) and Margit Mössmer (communication & outreach program), with whom we can discuss press and communication work in a multifaceted cultural complex like the Q21, that houses exhibitions and project spaces, residencies, offices, and creative space for national and international tenants. Afterwards, we will have the chance to visit Marina Markovic, one of the Artists-in-Residence (tba) residing at Q21 in her studio. Special Christmas SALOON - open to all! We are happy to announce that SALOON Vienna will celebrate its last Saloon this year together with das weisse haus on the 7th of December, 6pm. 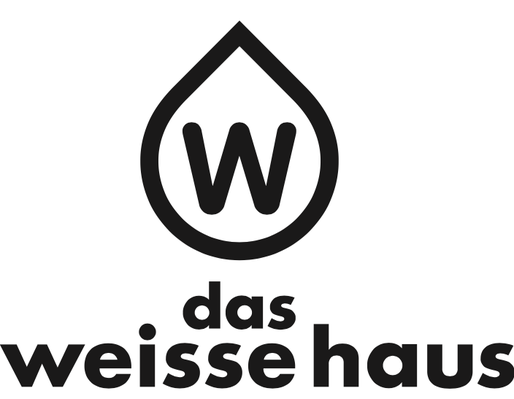 We hope you will join us to get first hand insight into the organizational side of das weisse haus and their multifaceted ventures as an international studio and residency program, as exhibition space, and as an important Viennese art association. Alexandra Grausam, founding director and curator, and Katja Stecher, project manager of studio das weisse haus, will guide us through the evening and the current exhibition, which focuses on their 10th anniversary. This time the Saloon is open to everybody - its Christmas after all. Please bring everyone who wants to get to know das weisse haus, SALOON Vienna, and our wonderful Saloonistas. In good old tradition we will head to the Belvedere Christmas market for one or two punches afterwards. Please join us for our next Saloon at the international auction house Sotheby's on the 22nd of November. Senior Director and Managing Director for Austria, Hungary and Poland Andrea Jungmann and Deputy Director Doris Richter will open the doors of Sotheby's showroom for us. Together with members of the Sororities, a female business network, we will team up to engage in a conversation on the art market in general, the importance of auction houses for the art world as well as on the significance of an almost all female staff in a traditionally male dominated field of work. Afterwards we'll have dinner & drinks at Rien. We are looking forward to the next Saloon at the Kiki Kogelnik Foundation! Please join us for this exceptional opportunity to see Kiki Kogelnik's works in the flesh in an intimate setting on the 9th of October, 6pm. Together with Pilar Zevallos, Managing Director of the Foundation, and Noit Banai, Art Historian, Critic, and Professor of Contemporary Art in the Department of Art History at the University of Vienna, we will be discussing Kogelnik's influence on the Viennese and New York art scene as well as on female artists up until today. Afterwards we will have dinner & drinks at the Glacis Beisl. © 1971 Kiki Kogelnik Foundation. All rights reserved. Das erste SALOON Treffen findet am 5. September um 18 Uhr im MAK, Museum für Angewandte Kunst statt! Wir besuchen die Ausstellung "Hello, Robot" zusammen mit einer aufschlussreichen Führung von Katalogautorin und SALOON Wien Mitbegründerin Aline Lara Rezende. Zusammen wollen wir die Ausstellung sowie die Bedeutung der (fast) ausschließlich Kuratorinnen der Vienna Biennale besprechen. Der erste SALOON in Wien wird anschließend im Café Engländer abgerundet, wo das Netzwerken losgehen kann. An alle potenziellen Mitglieder: Bitte schickt uns eine E-Mail mit kurzer Beschreibung an saloonwien@gmail.com. Wir freuen uns auf Euch! The first SALOON meeting will be at the MAK, Museum of Applied Arts on the 5th of September at 6pm! We will visit the exhibition "Hello, Robot" with an insightful tour by contributing catalogue author and SALOON Wien co-founder Aline Lara Rezende and have the opportunity to discuss the exhibition as well as the significance of the Vienna Biennale's (almost) all-female curatorial staff. The first SALOON in Vienna will be rounded off at Café Engländer where the mingling and tingling can get in full swing. To all potential members: Please join our network by sending an email with a short description to saloonwien@gmail.com. We are looking forward to hearing from you!